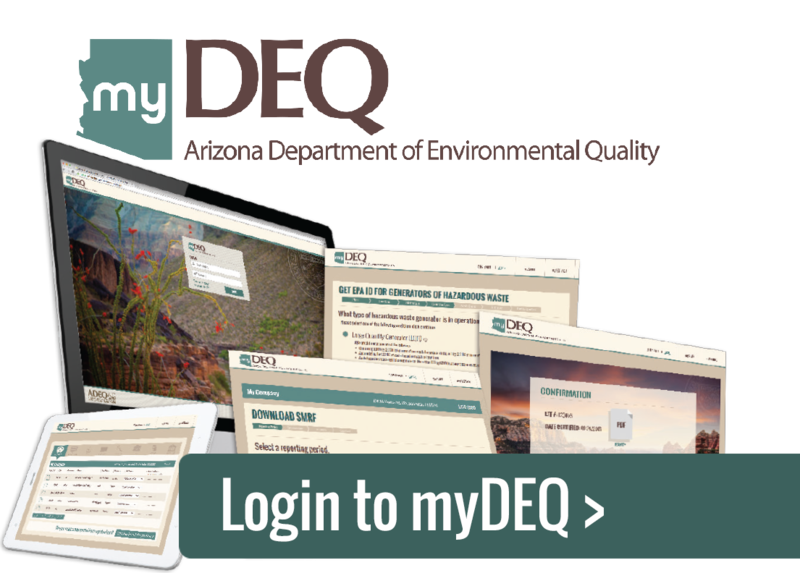 Sign up today to register your permanent EPA ID and manage hazardous waste reporting using myDEQ, ADEQ's online portal. Want to learn more about haz waste reporting in myDEQ? ADEQ no longer accepts paper submissions for hazardous waste reporting. To help with this transition, ADEQ invites interested parties to contact the myDEQ help line at 844-827-4768 or by email at myDEQ.support@azdeq.gov.